I have been experiencing some odd feelings of deja vu in the last few weeks. Trying to explain them to a friend, I struggled and frankly sounded slightly odd. Perhaps this was because in every day terms we have come to use the phrase ‘deja vu’ in a slightly flimsy, inaccurate way. Reading more about it for this post, it seems it is a phenomenon that is still open to a myriad interpretations. It is not simply a trick of the mind, or false memory that gives us a shiver at the time and which can easily be laughed off. At the most scientific level, it can be an aspect of epileptic episodes; at the least evidence based end of the spectrum it is evidence of reincarnation. I don’t believe either of these describe my sensations, which are rather more prosaic. I can’t explain easily what I have been experiencing, but as an example I might be driving into my home town and have the sense that I am driving into somewhere completely different, albeit subtly so. (It might be nice to drive into Wellington and imagine it is Rome, but sadly that level of fantasy is beyond me.) Does that make sense? It is almost as if it is a memory that is struggling to reconnect with my current life but each time I try and grasp at it to find out what it is trying to show me it slips away. Recently I have also found myself sensitised to old photos; to fading roses; to songs and classical music; all of which currently have a greater power to bring on a fit of melancholy. I have also been thinking about what happens ‘from now on in’ – after all there are only so many new careers you can try, and at my age I ought to settle on something and stick to it…. So I was thrilled to find this poem in a collection written by American poet, short story writer, critic and satirist Dorothy Parker. I have been reading her more widely recently and I realise now that she was not simply the master of the ‘wisecrack’, and that her oft-quoted poem about suicide (Resume) disguised from me her three genuine suicide attempts. Her memorial, in Baltimore, reads ‘Here lie the ashes of Dorothy Parker (1893–1967) humorist, writer, critic. Defender of human and civil rights….’ and despite two Academy Award nominations she was blacklisted by Hollywood as a Communist in the McCarthy era. So a woman to be taken very seriously. That last line ‘What is it, what is it, I almost remember?’ describes exactly how I feel in these strange moments of elusive memory. Is it the realisation that I have, as my children reach adulthood, come to terms with the fact I am now firmly rooted in middle-age and that none of these sensations will ever be thrillingly new to me again? If so that is rather sad. I want to tap into this mood and find a way to look at things afresh, particularly if I am to write successfully in the future. I need to hunt these memories down, see them for what they are – the past – and find new things to excite me in the future. My decision to do more writing (and thereby, in all likelihood, earn even less money than I do already) means I have taken some baby steps towards some new thrills. It does, almost literally feel like I am making up for lost time – seizing the opportunity to do what I said I wanted to do all those years ago when teachers were trying to work out which career I was most suited to (none immediately springing to mind). To do more at the moment would be too scary but I hope that when I am really old I will be trying to recall, vividly then, a whole new set of memories…. This entry was posted in Mental health, Poetry, Random musings on family life, love the universe and everything, Writing and tagged american poet, Books, deja vu, Dorothy Parker, memory, Mood, nostalgia, Poetry, writing. Bookmark the permalink. Perhaps you are exxperiencing a past life? Or perhaps..you are experiencing the future? Congrats on your decision to write more. I too have recently re-dedicated myself to a more literary life. I’m basically stuck in a 40 hour a week job with little energy left to write. I’ve managed to squirrel some time away and keep a journal so I feel that is a step in the “write” direction. I am really not sure what the experience is all about – it has happened a few times now and is no clearer!I have had a lot of pressure on my time but have decided to cut down on the stuff that drains me, even though I can’t really afford to. 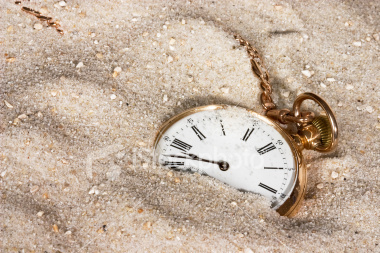 Good luck with your writing – when time is so precious perhaps you will get more done than me!